Correcting the Time of Sale When it Differs Between the Sales Ledger and Customer Receipt – How can we help? If your receipt is showing a different time of sale compared to your sales ledger, the device you are using must be checked as it may be displaying the incorrect time. 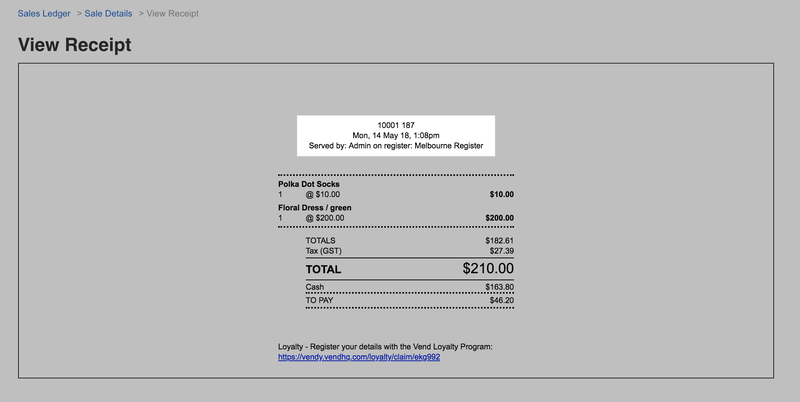 All Vend receipts will show with the appropriate time according to your timezone. However, the sales ledger records time based on your device. 1. Press the Windows key to show the taskbar. 2. Right click on the Date/Time and select Adjust Date/Time. 3. Click on Change Date and Time. 4. Enter the correct time in the Time field. 2. Click on the Date & Time icon. 3. Select Set Date & Time automatically. 4. Select the Time Zone Tab/Enter in your city. 2. Scroll down to the bottom of General Settings and find Date and Time. 3. You can select automatically or manually enter in the correct time. 4. In the Time Zone button, enter your city, or closest city to set your time zone.